Abomey appliqué are animated woven cloths from present-day Benin. In ‘African Textiles’, written by John Picton and John Mack, Appliqué is a word used to define ‘the process of adding further materials to an already-woven textile’. The craft was created in the Dahomey Kingdom that existed from about 1600 until 1904, when it was defeated by the French. The Fon people living in Dahomey’s capital, Abomey, are credited with creating the art. Traditionally, the Abomey appliqué cloth wasn’t meant for ordinary use. Rather, it was reserved for the upper ranks of the Fon community. Fon monarchs had their assumed name and outstanding deeds memorialised on appliqués. Kings chose their assumed name before ascending to the throne. Not only was the new name meant to evoke a divinity, a curiosity o nature or an historical fact, but it recalled the machinations he overcame to claim the throne. Apart from the king, important warriors and chief would receive appliqués as gifts for their achievements. The high skill-level of the craft became recognised by communities outside the kingdom. So much so, that they would often be given to nations with which they had a connection. 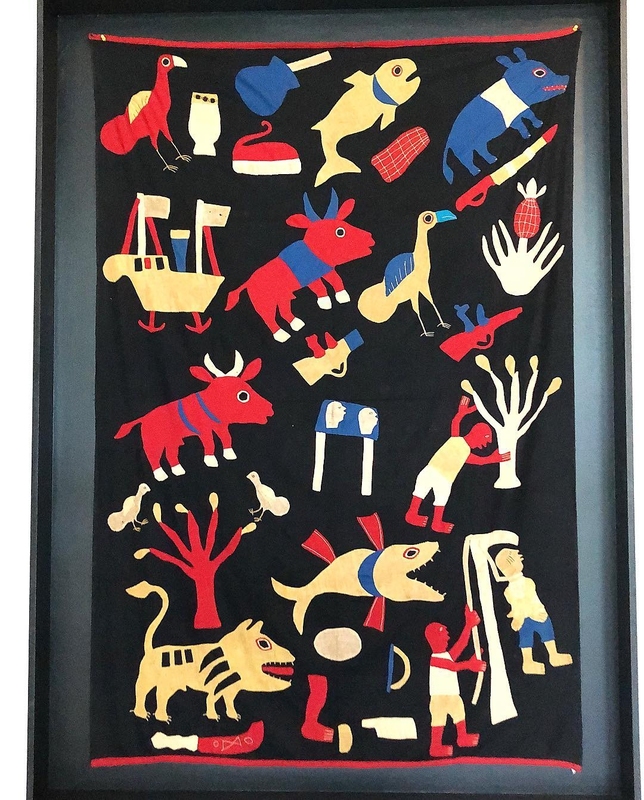 According to an article by Holly Paquette for the University of Rhode Island entitled ‘Dahomey Appliqués and the Politics of Production’, ‘Influential changes surrounding this African textile art can be attributed to politics and the influence of the tourist trade. 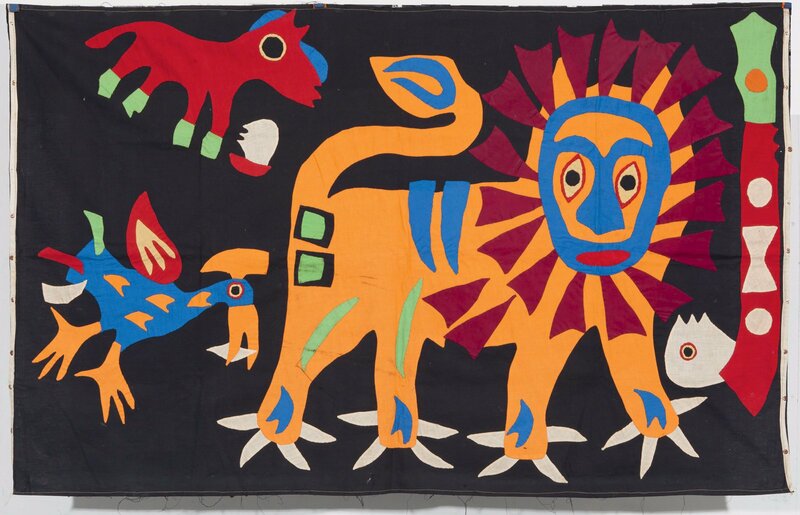 Throughout history the exchange of African textiles, have found a way into the realm of mass production, such as Dahomey appliqués: conforming, advancing, and in some cases, exploiting cultural tradition to thrive in today’s textile market.’ What is the story behind this particularly animated textile? 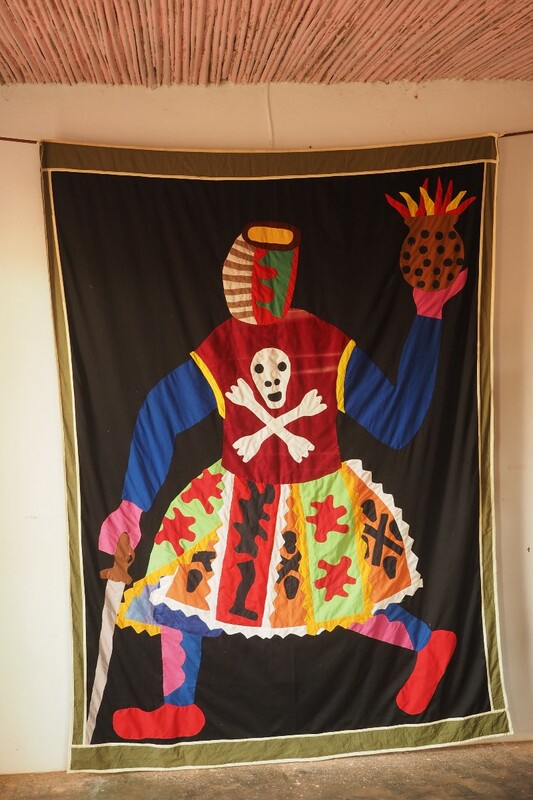 The fifth king of Dahomey, King Agadja (1708-1740), is said to have introduced the Abomey appliqué art to the kingdom. It’s believed that when he was on campaign in the Wémè, he witnessed a voodoo dance whose skirts formed colourful circles. 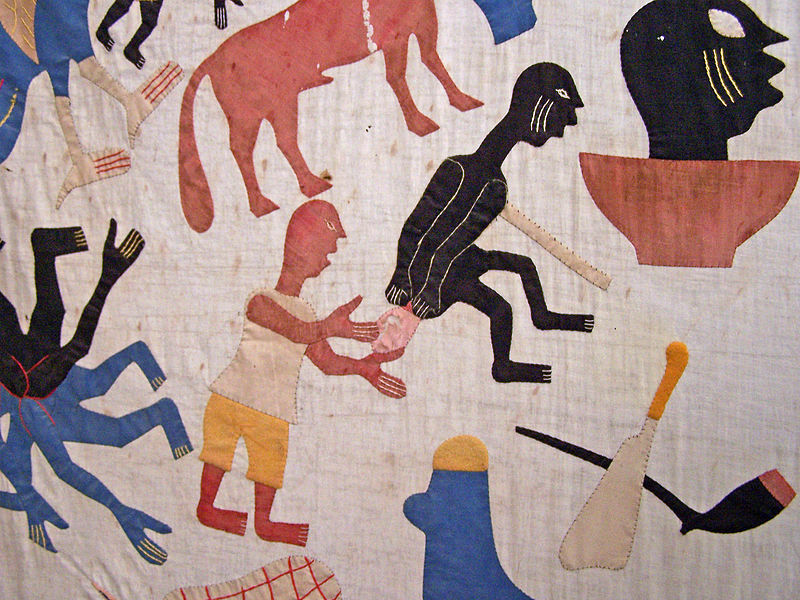 Inspired by this, he captured two expert appliqué workers from the Avranku region and took them back to Abomey. Entirely at the service of the king, they were to make rainbow-coloured clothes for his own court. 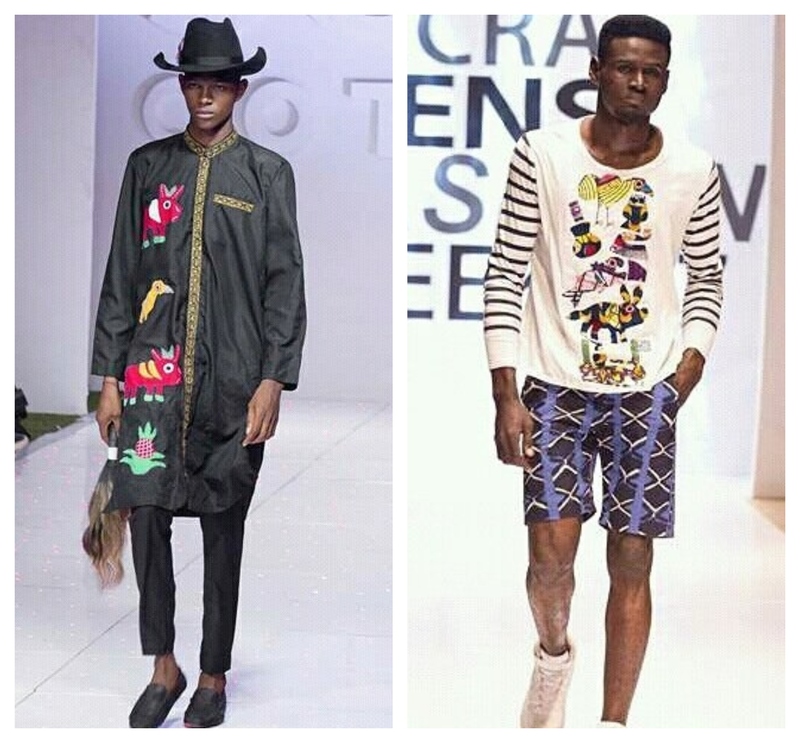 According to an article by Adire African Textiles, the name of the weavers were Hantan (Hankantan) and Zinflou (Zinflou mondo) which translate to “The sepals of cereals which served to make fire are finished, and darkness has set in” respectively. The first appliqué cloths used raffia material as the background material as the cotton cloth was extremely uncommon and valuable. The colourful cloths had an upsurge in 1727 during of King Agonglo’s reign (1789-1797). The access to Western-manufactured cloth increased and a new appliqué worker took the principle position. Known as Yemadje, he had more access than previous workers to the king and his wives. Each Dahomean King had heraldic symbols that represented their great achievements. 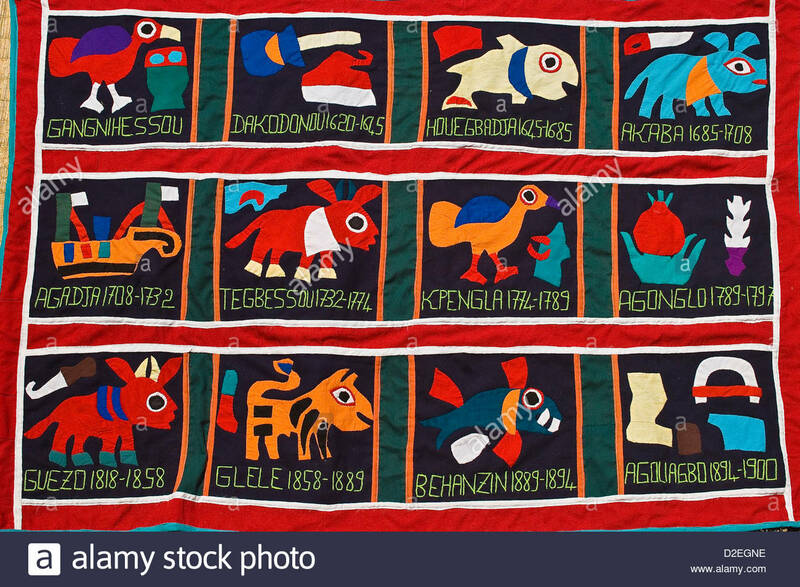 These motifs also served as markers of moral teaching or historical incidents, recalling particular events that occurred during their reigns. Each Dahomean King had heraldic symbols that represented their great achievements. These motifs also served as markers of moral teaching or historical events, recalling particular incidents that occurred during their reigns. It was common that these motifs were linked to proverbs that communicated stories of supremacy, status and conquests. For example, the first king – King Gangni Xesu – is symbolized by a bird called Saswé and a tam–tam. King Hwegbeadja is represented by a fish trapped in a fishnet and King Behanzin is represented by a shark and an egg. You can read more on each King’s motif and their meanings here and here. They would be placed on chief’s caps, state umbrellas, pillow tops, wall hangings, hammocks and prestigious cloths that were work as religious apparel and funereal cloths. The Fon people use the term ‘nu ta do nu mè’ to further explain what Appliqué work entails. Translating to ‘the highlighting of one thing by another’, it reflects how the colourful motifs are added to a monochromatic backcloth to enhance it and vice versa. 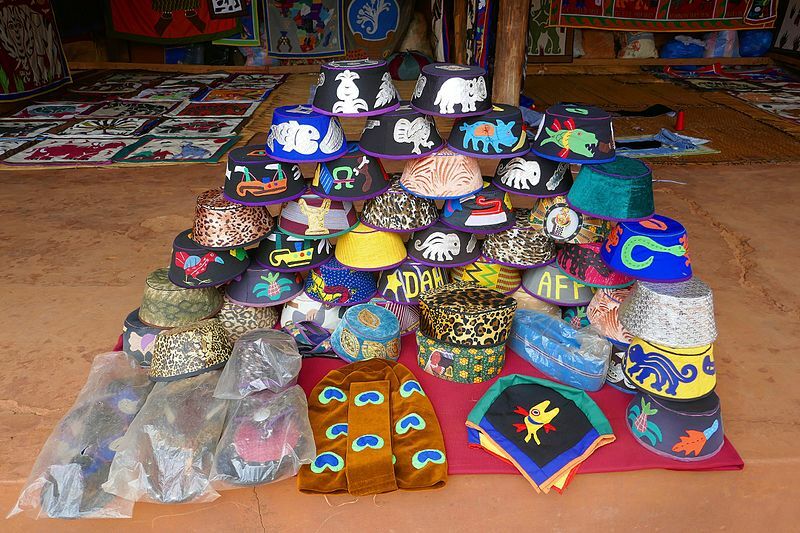 Motifs are designs cut out of weave cotton fabric, depicting objects, humans, plants, the king’s insignia and animals. Some motifs may be further embellished with embroidery. The outside borders of the cloth are considered the frame of the artwork. Thus, the artist takes them into consideration when positioning each motif on the design. Once they are satisfied with the overall look, the cut outs are hemmed in. 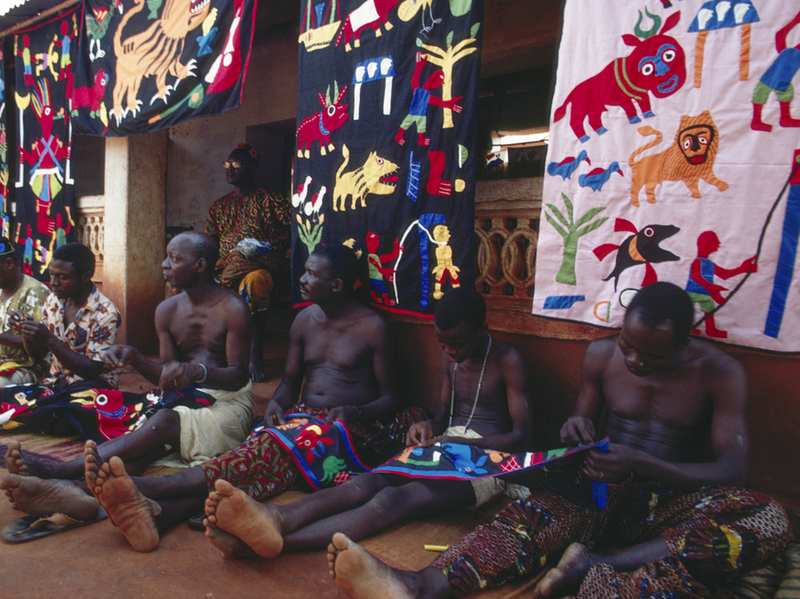 Traditionally, men living in Abomey made the appliqué cloth. They belonged to a guild that passed on the design knowledge through their lineage. Once commissioned, they would create the appliqué cloth and fashion items for those of high societal status. The size of the appliquéd cloth made to celebrate the kings were proportionate to the length of their time in power. From all the cloths that were made, it’s apparent that the kings favoured beauty and fervently surrounded themselves with it. 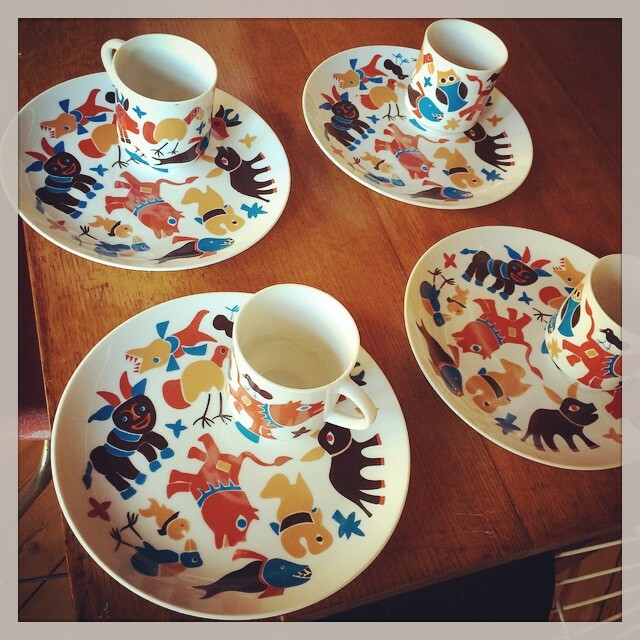 Thus the artists developed a keen eye for working with colour combinations harmoniously. At the beginning of the 20th century, Whydah became the secondary court arts centre. The time-honoured colours were preserved up until the 1990s, where multi-coloured material or Dutch wax cottons were incorporated. Granted, the old motifs are still used today. However, tourist requirements has seen new subject matter added on to these appliquéd cloths. This includes, nature, animals and voodoo symbolism on a transcultural level. That being said, tradition still governs style and composition used. 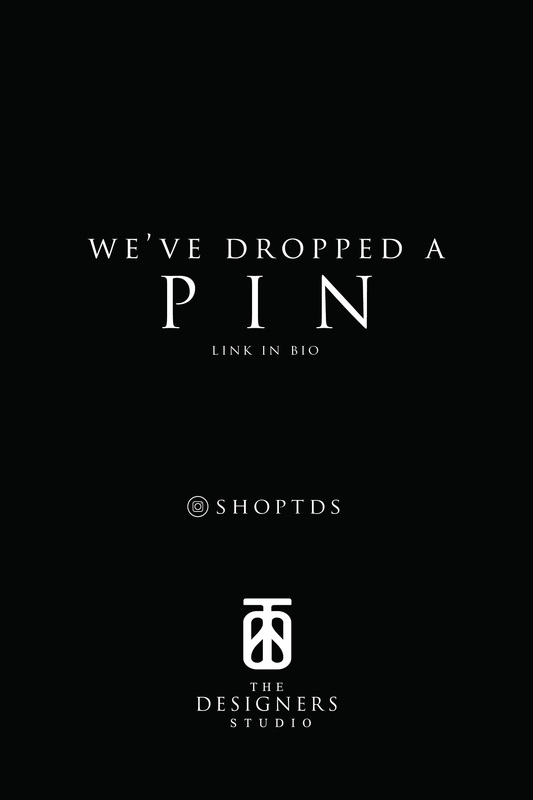 The art form isn’t restricted to one area anymore. Several sale paints exist in most major towns to make it more accessible to tourists. 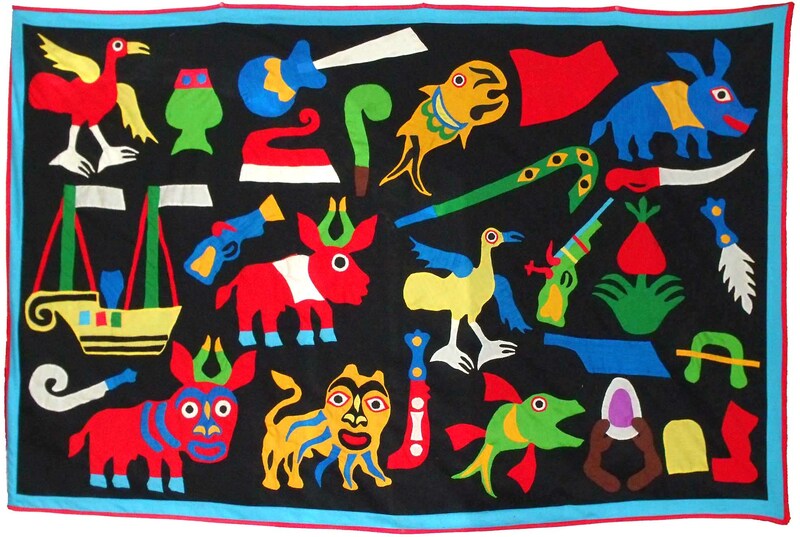 Artisans continue to create a link between their past and the present through applique cloths. While it’s more commonly found as wall hangings, and some interior décor objects, it would be interesting to see how more designers could incorporate this textile in the fashion arena. If you want to read more about the fascinating historical development of the Dahomey Kingdom and interesting facts such as their female military dubbed the Amazons, you can see more here, here and here.